Marly Haller, from Vancouver is at Stand Tall for a month teaching about the role of art in education. 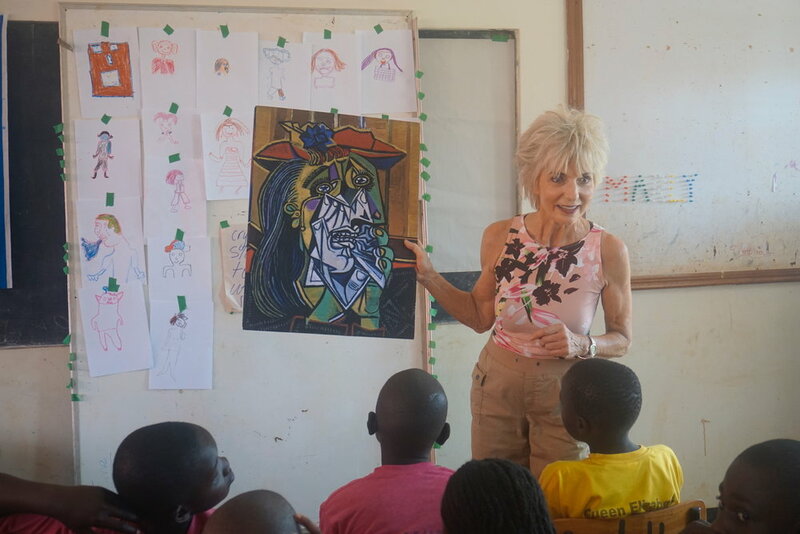 Her years of experience in teaching art in the classroom have stimulated the imaginations of the learners and brought a wealth of new ideas for the teachers to implement. She has even planned a field trip to the Afriart Gallery, afriartgallery.org, where upper level learners will have a chance to interact with the artist, and the gallery manager.